I love my suits, I can't wait for AC to where my suit of Citrina! ah, could we see your suits? That'd be fun, I love having my suits photos taken! Just curious is there going to be an FT meetup? Here are the pictures of some of my suits. I have other suits but those suits are retired. 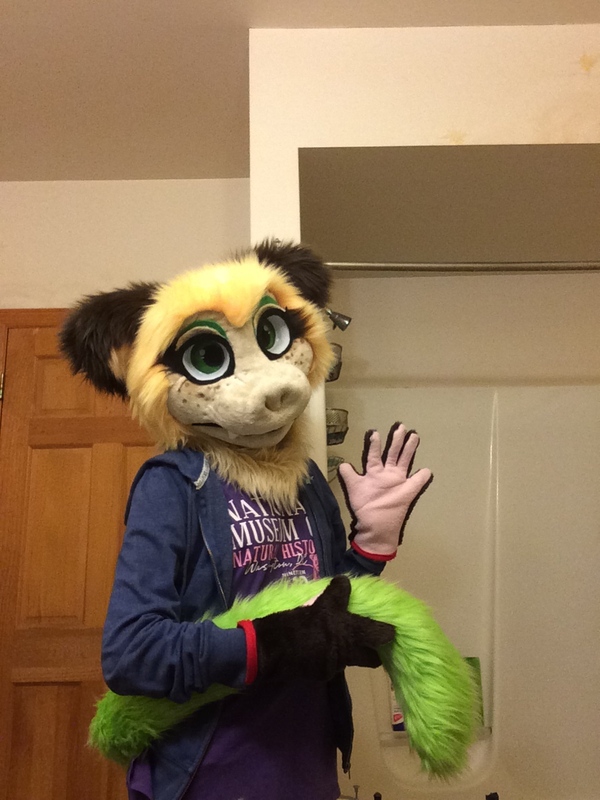 First up is Citrina my lemur sona (I have most of her info in my profile) She was made by TwistedLeopardCreation. 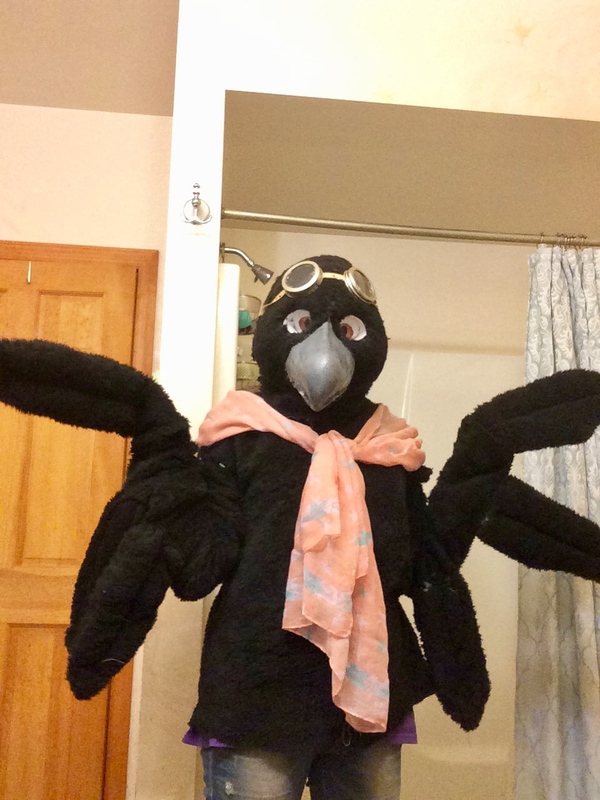 Next Is my Crow sona, Kentucky I wore her to Anthrocon last year. He is made by me, she looks very cross eyed in this photo. Trust me he looks better in real life. The last one is a WIP saber tooth made by me. Her name is Fancy btw. 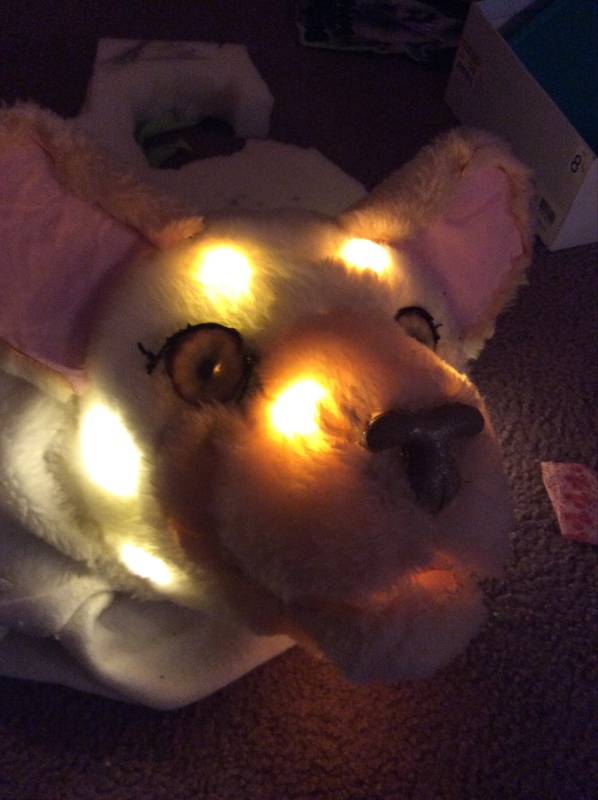 I added LEDs, they were REALLY hard to put in. i love all of them, they are all quite cute. the lights in the last suit are a nice touch. do you turn them on with a remote? Thanks,I actually have a switch in the back of her head to turn it on. I want a full one pretty badly. xP Though I have nowhere near enough money for one and I'm gonna wait until I'm older, get a job, and save enough money for a commission. Aww cool, my favourite is your lemur fursuit! Omg can you imagine baby fursuits! 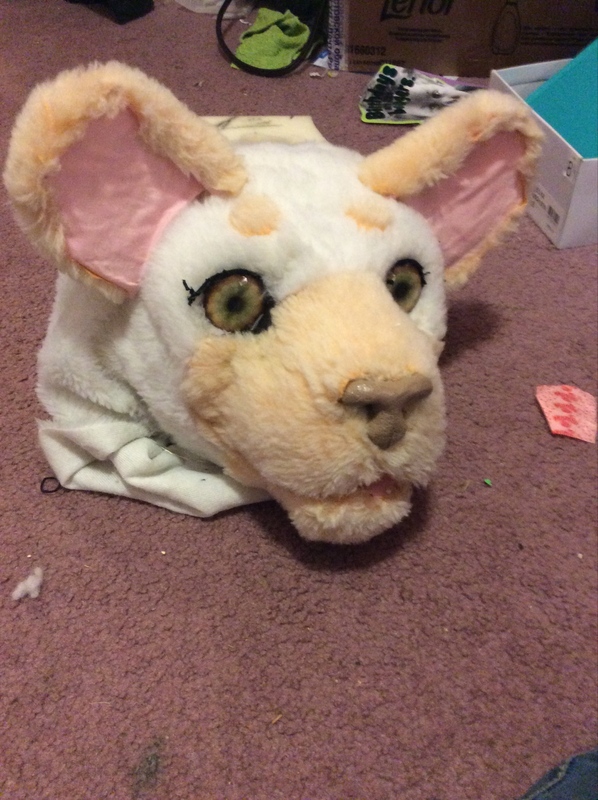 ... once I made a fursuit for a barbie... it was easy to make... unfortunately I don't have any photos. Yeah, your head shouldn't really get much bigger after puberty. Plus a tail won't rear have to "fit" anything. I'd recommend either making your first suit, buying secondhand, or commissioning a newer/smaller maker (usually much cheaper).